Subscribe to the DaringMigration newsletter to get instant access to your free 5 Steps To Nomad download. 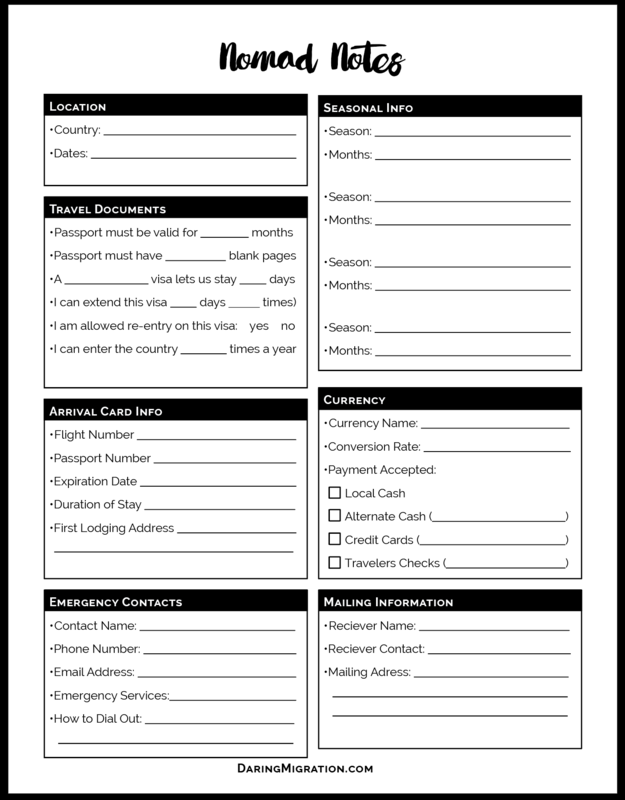 A practical guide for transitioning from home owner or rent payer to global wanderer. This digital guide walks you through all of the details you’ve been sweating so you don’t have to re-invent the wheal. Use tested methods to do everything from handling your mail to keeping your storage unit organized. 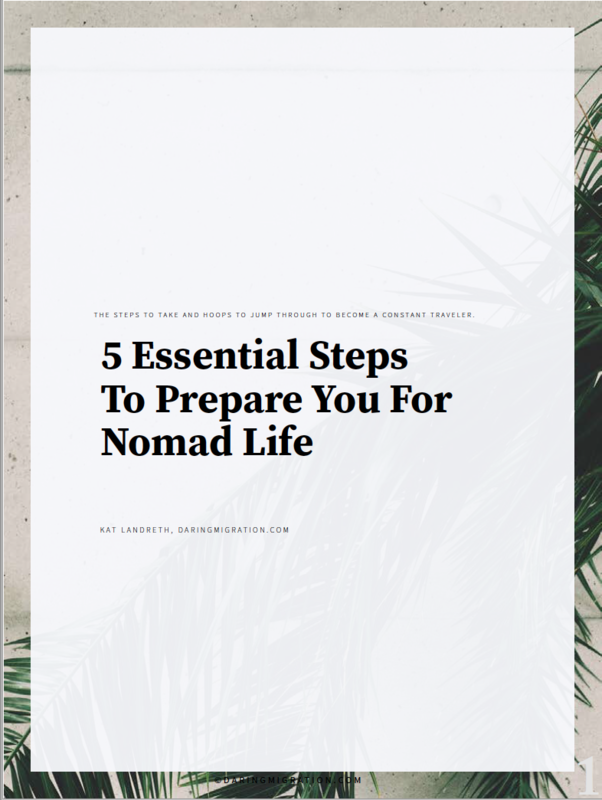 This guide won’t tell you how to start a business or make money as a nomad. But it will make the practical side of living without a permanent address a lot easier.